Age Limit: Candidates age should be 18- 33 years as on 01-04-2016. Age relaxation is applicable as per rules. Educational Qualification: Candidates should have passed SSC, Diploma in Mechanical Engineering for Jr. QC Inspector, Diploma/ Degree in Nursing for Sr. Medical Assistant, SSC or equivalent for Driver-Vehicle, Passed SSC or equivalent with NAC for Jr Draughtsman, SSC/ HSC for Jr. Planner Estimator, Jr Planner Estimator. For more information refer the notification. Selection Process: Candidates will be selected based on Interview/ Trade Test. 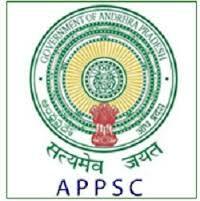 Application Fee: Candidates should pay Rs. Rs.140/- (Including Bank charges of Rs.40/-) to be deposited at any nearest branch of State Bank of India (SBI) by using challan. 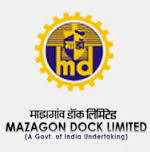 (HR-Rec.-NE), Recruitment Cell, Service Block- 3rd Floor, Mazagon Dock Shipbuilders Limited, Dockyard Road, Mumbai-400010 on or before 20-12-2016. Last Date for Receipt of Applications: 20-12-2016. Date of Display of Candidates for Written Test on Company’s notice board: 03-01-2017.